This is your chance to step into a turn key property. This home features a 14&apos;x13&apos; Kitchen with new 36" soft close cabinets and crown molding boasting Frigidaires Professional Series SS Appliances, large 18"x18" porcelain tile, granite countertops with matching backsplash and window sills. The living room is a generous 14&apos;x13&apos; with new Â¾ solid red oak flooring. The Master bedroom is a spacious 14&apos;x12&apos; with a large walk-in closest and full master bath with 24"x12" tile, Kraus vessel sink and faucet on top of a 36" vanity with granite top and backsplash. Both bedrooms offer new Stain Master carpeting with easy access to the hall bathroom which is 8&apos;x8&apos; with Oil bronze fixture finishes, 24"x12" porcelain tile, granite countertop with matching backsplash and a Kraus vessel sink with water fall faucet. 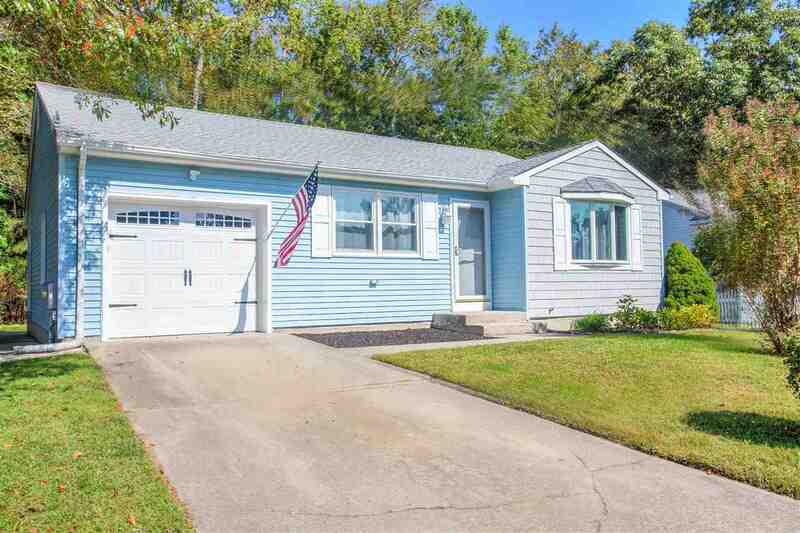 This home has new Low E glass, double hung windows, Pella insulated Garage Door, a newer roof, new 3 ton central air conditioner condenser and coil. Maytag large capacity washer and gas dryer with the steam feature. All the appliances have extended warranties! Enjoy the private back yard from the screened-in back porch or on the 28&apos;x8&apos; cement patio. There is also a large 14&apos;x12&apos; shed with electric great for a workshop and for extra storage. The home is situated at the end of a cul-de-sac with a lovely little park across the street and backing into open space and legates farm for a truly tranquil quite setting.